Chairman of Gladstone Abraham Group. Formerly Executive at GE, Int’l Resource Exchange and Raychem Corp. Has advised Philips, Hewlett Packard, Xerox and Westinghouse Electric. Mr. Abraham is Chairman of Gladstone Abraham Group, a San Francisco based private merchant banking group. Mr. Abraham has launched numerous companies in the high technology sector as either a founding board member or as Senior Advisor to the CEO. He has advised prominent companies such as Philips, Hewlett Packard, Xerox and Westinghouse Electric; as well as venture capitalists and leading investment banks in special financing situations. Mr. Abraham held senior positions in leading corporations based in the San Francisco Bay Area prior to forming Gladstone Abraham Group. His corporate experience includes five years with the nuclear division of General Electric Company at San Jose, a special assignment in corporate planning at Atlantic Richfield, five years as Managing Director of International Resource Exchange and two years as Division Business Manager of the Materials Division of Corporate Technology at Raychem Corporation in Menlo Park, reporting directly to the Chairman. 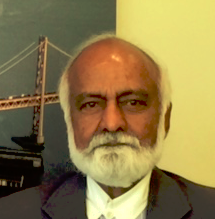 While with International Resource Exchange, he advised such companies as Fairchild Semiconductor, SRI International, American Microsystems, and Amdahl Corporation on Joint Ventures and strategic partnerships in India, Singapore and Japan. Mr. Abraham has an MBA from Harvard University and a MSME from UC Berkeley where he was a doctoral candidate. Formerly Global Head of Real Estate and Construction practice at Ernst & Young for 10 years. 30+ years CRE experience. As a partner with Ernst & Young, Mike developed, led and drove significant growth in a number of practices. He created, grew and led, as Global Director, the firm’s Real Estate and Construction Industry practice from 1988 to 1998, managing 2,500 professionals and personally serving many of the largest international real estate organizations in the U.S. and around the world. Mike then served as the firm’s Director of Strategic Investments, managing E&Y’s investments in 40 small and emerging growth companies. He was also a senior partner for Quality and Risk Management with responsibility for internal risk management in 30 countries. Mike’s experience with middle market entrepreneurs includes advising many small-medium clients in Silicon Valley on tax strategy and planning. Earlier in his career he was in investment banking and corporate law. He has also served as a project and country manager for projects funded by the Bill and Melinda Gates Foundation. Managing Partner, Professional Infrastructure Consulting Services, ex-CFO at Bechtel Investments. 30 years experience in structured finance. Mr. Snyder has has more than 30 years experience in executive-level investment and financial management, including asset acquisitions and dispositions, project development, project and structured finance, global privatization and building of national and international advisory teams. Mr. Snyder currently is Managing Partner of Professional Infrastructure Consulting Services (“PICS”), which provides project planning and development, project finance and management services to support infrastructure, mineral and energy projects, acquisitions and joint ventures on a global basis. Mr. Snyder began his career with the Bechtel Group, where he served as Vice President of Bechtel Financing Services, providing project structuring and financing services for clients of the Bechtel Group around the world. He later became a Managing Principal of Bechtel Investments, Inc, where he served as Chief Financial Officer and as Managing Principal for private ventures, including investments in coal, mineral mining, and energy service companies and international investments. Mr. Snyder later joined Airport Group International (AGI), one of the world’s most successful companies specializing in the global privatization of airports, as its Chief Financial Officer. Following the sale of AGI, Mr. Snyder became a Managing Director at PricewaterhouseCoopers Securities, where he directed a global team in the airport sector, providing strategic and financial advisory services, including project financing, privatization and M&A transactions. Mr. Snyder has served as a director on a number of Boards, including PICS, PBI, ADI, Global Capital Group, Peabody Holding Company, Luton International Airport, Servicios de Aerpuertos Bolivianos SA, Australia Development Group PTY Limited, Westralia Airports Corporation, Dual Drilling Company, and Blue Mountain Mineral Company. Mr. Snyder attended the University of Michigan in Ann Arbor, receiving an MBA Degree in International Finance, and a BA Degree in History and Economics. Mr. Snyder also has taken post-graduate work in corporate finance at MIT. Executive Director, Joint Institute for Strategic Energy Analysis at NREL. Senior Visiting Fellow at the Center for Strategic and International Studies. Lead Author IPCC 5th report. Dr. Doug Arent is Executive Director of the Joint Institute for Strategic Energy Analysis at the National Renewable Energy Laboratory (NREL). He specializes in strategic planning and financial analysis competencies; clean energy technologies and energy and water issues; and international and governmental policies. In addition to his NREL responsibilities, Arent is Senior Visiting Fellow at the Center for Strategic and International Studies. Arent was appointed as a Coordinating Lead Author for a chapter of the 5th Assessment Report of the Nobel Prize-winning Intergovernmental Panel on Climate Change (IPCC) and serves on the National Research Council Committee to Advise the U.S. Global Change Research Program. He is a member of the Policy Subcommittee of the National Petroleum Council Study on Prudent Development of North America Natural Gas and Oil Resources, and the American Academy of Arts and Sciences Steering Committee on Social Science and the Alternative Energy Future. Arent is a Member of the Keystone Energy Board and serves on the Advisory Council of the Smart Cities Council. Arent served from 2008 to 2010 on the National Academy of Sciences Panel on Limiting the Magnitude of Future Climate Change, and also served on the Executive Council of the U.S. Association of Energy Economists. 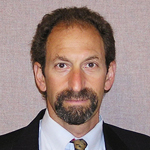 Prior to coming to his current position, Arent was Director of the Strategic Energy Analysis Center at NREL from 2006-1010. Prior to joining NREL, he was a management consultant to clean energy companies, providing strategy, development, and market counsel. Dr. Arent has a Ph.D. from Princeton University, an MBA from Regis University, and a Bachelor of Science from Harvey Mudd College in California. Chief Technology Officer of the technology incubators at one of the world’s largest IT Company. Visiting Lecturer at Stanford University, Civil and Environmental Engineering School. Dr. Peter Williams is a Visiting Lecturer at Stanford University, Civil and Environmental Engineering School. Dr. Williams is the Chief Technology Officer of the technology incubators at one of the world’s largest IT Company, where his role is to create environmentally focused businesses. He is responsible for assembling, maintaining and developing the portfolio of businesses included, and technologies used. His particular focus areas have been PV technologies; developing green house gas reduction solutions and services; and most intensively, water management solutions, covering entire water resources (for example entire rivers or aquifers), utility infrastructures, and enterprise water management. As such, he has had a major role in developing water management solutions framework and a number of specific areas of intellectual property within that. He has also been heavily involved in creating the intellectual foundation for the Company’s "Smarter Planet" initiative. Dr. Williams holds the title of IBM Distinguished Engineer. By background, he is a management consultant with well over 20 years experience of bringing technology and business issues together to develop novel solutions and business models. He holds or co-holds 6 US patents with others pending. A native of the UK, he has lived in California since 1999, and is married with three children. His PhD was awarded by the School of Management at the University of Bath, England, in 1986. Clean Energy finance expert. Formerly: Director of Finance at Clinton Climate Initiative. Scott Henderson is an advisor and investment banker to the clean technology and renewable energy and infrastructure markets. He previously served as Director of Finance at the C40 Cities Climate Leadership Group, chaired by Michael Bloomberg. Scott joined C40 via the Clinton Climate Initiative (CCI), which was launched by President Clinton in 2006 to reduce GHG emissions through the development of large-scale projects in renewable energy, forestry, municipal waste, transportation, and energy efficiency in more than 22 countries. At CCI, Scott provided project finance expertise and support to the organization’s Energy Efficiency Building Retrofit, Municipal Lighting and Solid Waste Programs. Among his accomplishments in this role, he devised and helped launch Property Assessed Clean Energy (PACE) financing programs specifically for large commercial buildings in San Francisco, Los Angeles, and Melbourne. He has been recognized as a global thought leader on energy efficiency finance, having authored numerous papers on the subject and spoken at numerous conferences globally. While at CCI, Scott consulted with The White House, President Clinton, Department of Energy, Congress, state energy offices, utilities and city mayors on energy finance policy. Prior to joining CCI, Scott built up extensive finance experience advising on utility-scale clean energy projects while at ADN Capital Ventures, serving as VP Finance at biotechnology firm Diobex, and as an investment banker at UBS Investment Bank, Dillon Read and Merrill Lynch. Scott holds a BA from Harvard University. Laurent Carrière is Vice President and General Manager, Consumer Industries, Europe Midlde East and Africa (EMEA) at SAP. In this capacity he is responsible for driving the integrated operations for Retail, Wholesale and Consumer Products across all company dimensions including Sales, Marketing, Development and Services. In 2012, Mr Carrière was VP Line of Business, Continental Europe at SAP, which involved driving Sales for CRM, SCM, HRM, Sustainability and Mobility product lines. Before joining SAP, Laurent Carrière was Senior Director and a founder of the EMEA operation at C3 Energy, a software as a Service (SaaS) Energy Management startup leveraging big data and grid-scale analytics to enable utilities globally to realize the promise of the smart grid. He was formerly VP International Sales Engineering at Endeca Technologies, a leading Information Access company now part of Oracle Corporation, where he was responsible for growing and managing the sales support organization in EMEA and APAC. 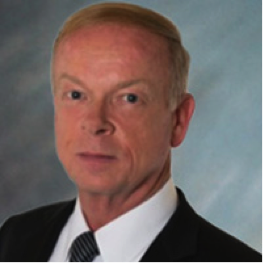 Prior to joining Endeca Technologies, Mr Carrière spent ten years with Siebel Systems from 1996 to 2006. As one of the first members of the EMEA organization, he evangelized the Southern Europe market place on CRM and closed the first two deals ever in the region. He then built the Southern Europe sales support organization and ran it until he was appointed VP EMEA Sales Consulting in 2003, and then became VP EMEA CRM Sales Consulting at Oracle Corporation, responsible for sales support of the Siebel CRM, Oracle CRM and Peoplesoft CRM product lines. As a member of the European Management Board, he was responsible for driving the successful integration of Siebel and Oracle organizations in EMEA in 2005-2006. Mr Carriere started his career in 1993 with System Software Associates, a leading midrange ERP software vendor, in a sales support capacity, with responsibility for Architecture and Business Intelligence products. 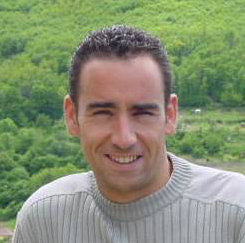 Mr Carrière holds a Master of Business Administration and Computer Science from Paris Dauphine University. Co-founding Team / Accenture / Telltale, Inc.
André is an entrepreneur at heart with extensive and diversified leadership experience in telecommunication, media, entertainment and financial services ecosystems. He has lead multi-billion strategic partnership programs at Accenture, Citigroup and AT Kearney. He joined the co-founding team at Telltale to establish the company as a leader in digital entertainment. André is a results-oriented C level strategy and business development executive with extensive digital and e-commerce experience.